Izzy Lightwood: You know, for a second, I was worried you weren’t gonna make it out. Simon Lewis: Me, too. But thankfully, I got… I got lucky. Izzy Lightwood: Luck had nothing to do with it. What you did today, putting your life on the line for the people you care about… it’s pretty badass. 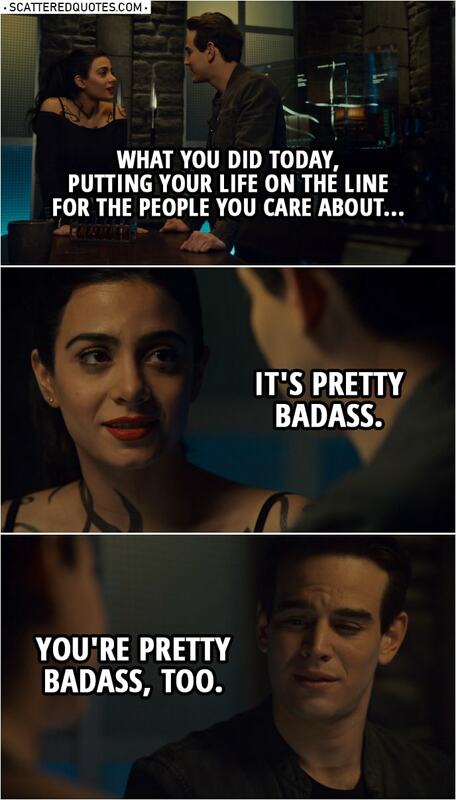 Simon Lewis: You’re pretty badass, too. 10.4.2019 You’re pretty badass, too.